Bowness is nestled right into the heart of the Bow Valley, which was carved out of the land by the Bow Glacier. Have you ever wondered why the Bow River is so cold and clear? It is because water from the glacier, which retreated west and now resides in Banff National Park, is what feeds the Bow River. The Bowness area was originally inhabited by the pre-Clovis people, whose presence can be dated back 11,000 years. Following them were the Blackfoot, Stoney, Cree and Tsuu T’ina people. These tribes relied on the land for hunting and gathering, making the Bow River, fertile pastures and wild Buffalo herds major assets. They diligently nurtured and protected their land, recognizing its incredible value. When European settlers arrived in the late 1700’s, they too saw value in the land. Cartographer David Thompson spent a cold Alberta winter with a band of Peigan, camped beside the Bow River. He was in awe of the potential of the area and was quick to recommend a Hudson’s Bay Trading Post be set up. He was followed by John Glenn in 1873, who became the first documented European settler in the Calgary area. By 1875 the Royal Canadian Mounted Police had set up a post to protect the area from US Whiskey Traders and to police the fur trade. Fort Calgary was established, and a city was born. The Cochrane Ranche House leased the Bowness area land for a number of years before two very important sales took place. The first was to Thomas Stone and Jasper M. Richardson. They named Bowness and built a ranch house with barns and stables on the river island, which is now Bowness Park. The second sale was to John Hextall. 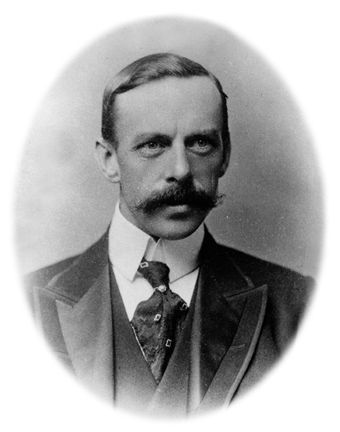 Hextall was an English solicitor who purchased the land in 1908. He saw potential for the area to be an exclusive residential retreat for Calgarians. 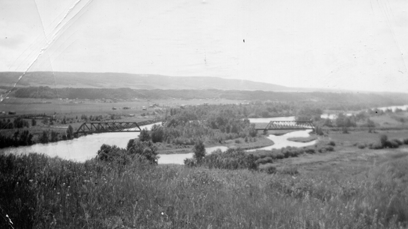 In 1911 he subdivided the ranch and built a bridge connecting Calgary to his brand new Bowness Estates. He made a deal with the City of Calgary: in return for donating two islands on the bow to Calgary (which have now become Bowness Park), Calgary ran its streetcar line into his development. Despite his efforts, Bowness did not become an instant hit. After World War I, Bowness had just enough surrounding farms and lots sold to require a school (which the famous rodeo Cowboy Marty Wood attended), some stores and a post office. Although Bowness was not being settled as quickly as Hextall had hoped, Bowness Park was wildly popular—Calgarian’s visited by the thousands via the streetcar. It was not until after World War II that Bowness began to boom. The government purchased 48 one acre plots from the Hextall estate to give to returning veterans. Bowness began to turn into a thriving town, complete with schools, churches, theatres, stores, a volunteer fire brigade and more. With a population of over 9000 citizens, Bowness held a vote on whether or not it should join the City of Calgary. The consensus was overwhelming, and Bowness officially joined Calgary on August 15, 1964. For more information on beautiful Bowness visit our Bowness Community page! All photos curtosy of the Bowness Historical Society!